Our Steinbach Limited Editions are designed exclusively for Kurt Adler and cannot be found at any mass merchants. Unlike the regular Steinbach nutcrackers, which continue to be reproduced, the limited edition pieces are only available for a certain amount of time. Because these pieces will not be available forever, they add a special value to your nutcracker collection. Most of the limited edition nutcrackers are signed, making them extremely collectible. Many of our Limited Edition pieces come from your favorite series such as the 12 Days of Christmas, Christmas Legends, Christmas Traditions and Dickens Townsfolk, an extension of the Christmas Carol series. 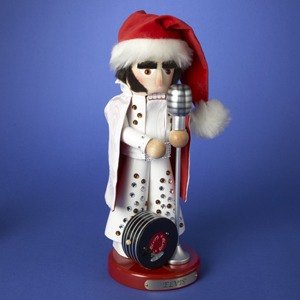 Steinbach’s first Elvis nutcracker portrays the King of Rock ‘n’ Roll in his famous white jumpsuit. 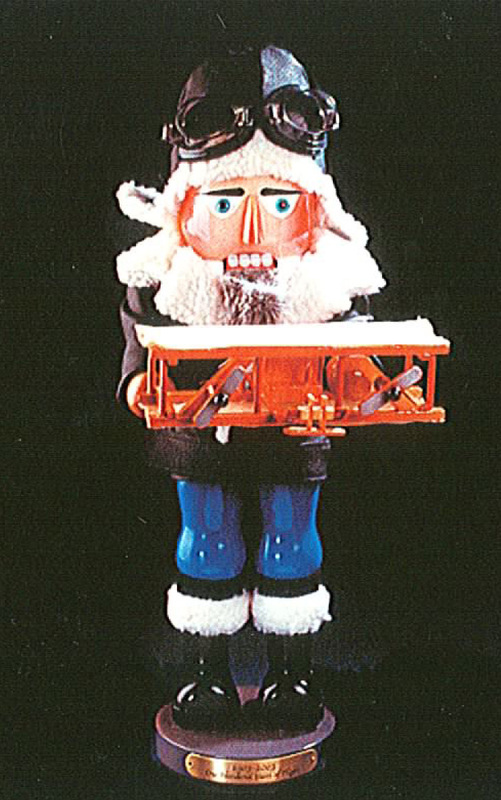 This musical nutcracker plays the tune “Wooden Heart (Muss I Denn)”, which is based on a German folk song and best known for its use in the film G.I. Blues. 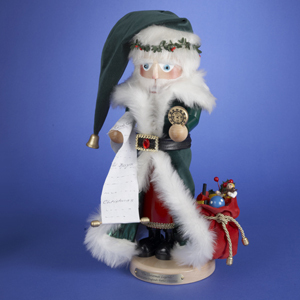 Elvis stands at 15” and is sure to rock your nutcracker collection. Steinbach’s beloved 12 Days of Christmas series continues with Part 8, “Eleven Pipers Piping”. This musical series plays the tune the “Twelve Days of Christmas” and each member of the series represents a different gift given in the classic Christmas song. Standing at 18”, this nutcracker is a limited edition of 4,000 pieces. English legend tells of Father Christmas, a man dressed in green to represent the returning of Spring. Father Christmas wanders on foot throughout the town, knocking on the doors of each home and feasting with the families inside. 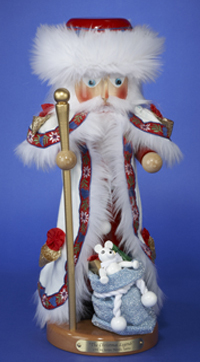 Steinbach’s Father Christmas nutcracker is the 18th member of the Christmas Legends Series and is a limited edition of 4,000 pieces. The tradition of decorating gingerbread houses during the Christmas season is believed to have originated in Germany some 200 years ago. A festive and fun way to bring the family together, gingerbread houses can be used as holiday treats or as holiday décor. The 6th member of the Christmas Traditions series, this Steinbach Gingerbread Baker stands at 17” and is a limited edition of 4,000 pieces. 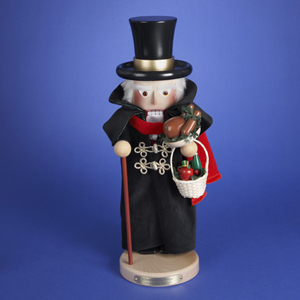 The 11th member of the Christmas Carol series, this nutcracker shows how Scrooge has been transformed after his visit from the ghosts of Christmases Past, Present and Future. Scrooge’s heart is now filled with love and generosity as he provides a turkey dinner to the Cratchit family for Christmas dinner. Christmas Day Scrooge stands at 18.5” and is a limited edition of 4,000 pieces. Sir Lancelot joins Merlin the Magician and King Arthur as the 3rd member of the Junior series. Sir Lancelot served as a knight at the Court of King Arthur and Steinbach shows him dressed for battle, ready to defend his honor. Sir Lancelot stands at 13.75” and is a limited edition of 4,000 pieces. 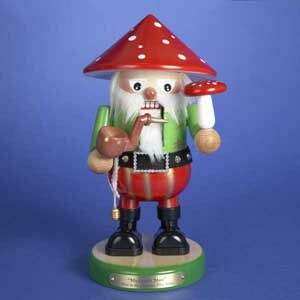 The Mushroom Man, 1st in the Steinbach Christmas Elves series, brings blessings of fortune to your home. According to German tradition, hanging a mushroom ornament on your tree represents the hope of good luck in the New Year. Now you can have good luck all year long with this 12.5” nutcracker, a limited edition of 4,000 pieces. 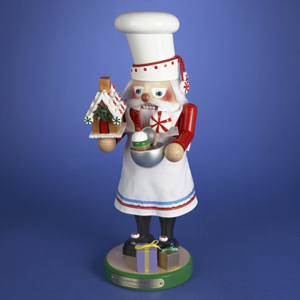 The seventeenth member of the Christmas Legends Nutcracker Series, Nordic Santa (ES1766) Nutcracker was introduced in 2010. The Nordic or Scandinavian version of Santa is called "julenissen" or "jultomten". He has no reindeer or sleigh and carries the gifts on his back. The most important or “high” point of the Scandinavian Christmas season is Christmas Eve. Because Christmas falls during Scandinavia’s darkest time of year, December, or the "advent" period leading up to Christmas is a magical time of warmth and candlelight. This Nutcracker is a limited edition piece of 5,000 pieces. 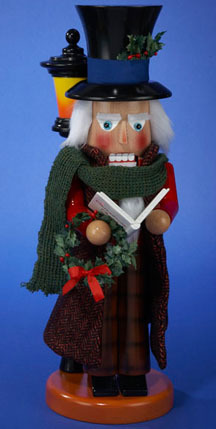 2010 introduced the Carroller into the Dickens Townsfolke Nutcracker Series, making this nutcracker the 3rd in he series. 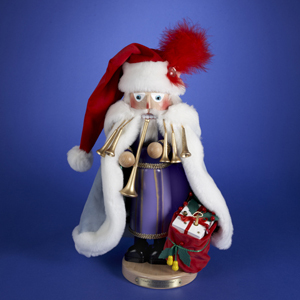 This nutcracker stands at 18 inches tall and is an exclusive limited edition of 4,000 pieces. The Aviator: 100 Years of Flight celebrates the Wright Brother’s success and the mark of an important achievement in history. 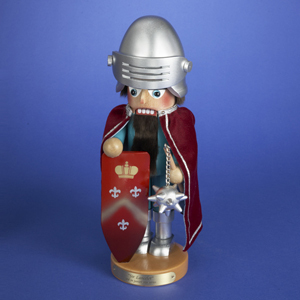 This nutcracker is an Exclusive Limited Edition and there were only 6,000 pieces made of this commemorative nutcracker.